Clever Fangirl is one of the biggest Jurassic Park fans you will find on social media. 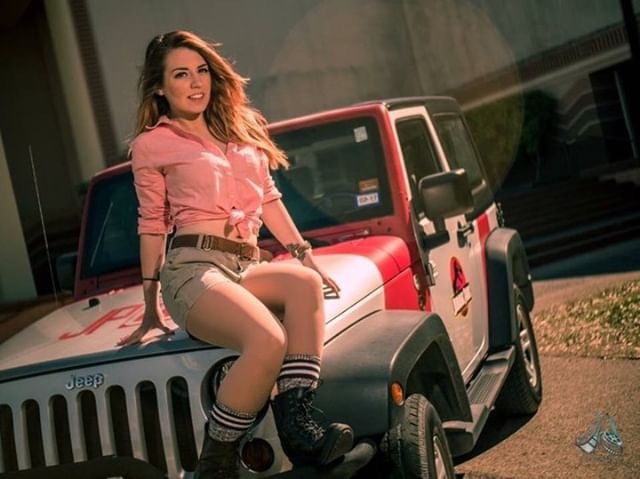 Her Instagram and Facebook accounts are almost completely dedicated to the Jurassic franchise and dinosaurs. 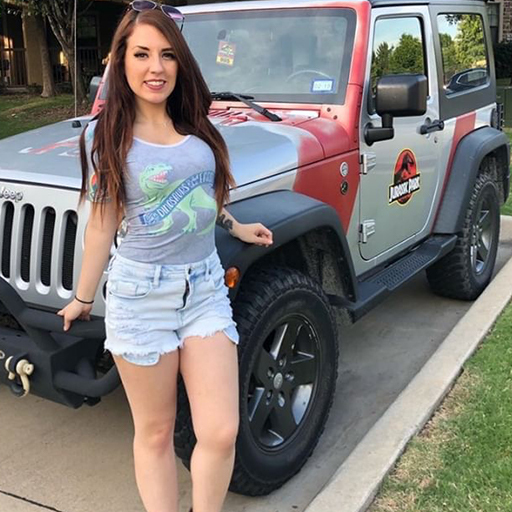 We spoke to Clever Fangirl about her love for Jurassic Park, dinosaurs and what she hopes to see in Jurassic World III. When did you first watch a Jurassic film? When I was a kid my dad introduced me to the first film. We would watch it when it would air on TV. My favorite scene was when Gennaro was eaten on the toilet. I laughed every time I watched it. Which film in the franchise is your favorite? So you were hooked on the franchise at an early age? 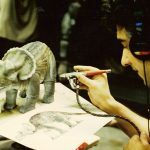 I knew immediately I had to see more after Jurassic Park re-affirmed my love for dinosaurs. Danny and the Dinosaur and The Land Before Time initiated my love for dinosaurs. My parents would take me to the Natural History Museum often to look at fossils. My favorite dinosaur is the Brachiosaurus! When I was little, I loved the scene when the Brachiosaurus sneezes on Lex in the first JP. There has been some debate on the existence of the Brachiosaurus and it has always had a bit of mystery. When I visited the Dinosaur National Monument, I got to see fossils of a Brachiosaurus preserved in a quarry. It was an amazing sight and it solidified my love for the creature. And yes, I did cry during THAT scene in Jurassic World: Fallen Kingdom. Some fans aren’t crazy about the Jurassic World films—especially compared to the original film. How do you feel about the newest films in the franchise? I really enjoy them. I had the amazing experience of watching Fallen Kingdom at a red carpet event in Hollywood. 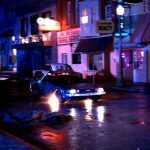 That experience aside, every time I watch the film I find more references to previous films. I loved Jurassic World too. It had been so long since a Jurassic film was released. I cried when the score hit after they open the doors to look at the park. Clever Fangirl is such an awesome name. When, and how, did you decide on it? I used to go by Dallas Fangirl (for my hometown Dallas, TX). 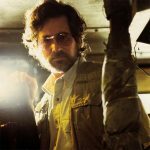 But, I ultimately decided I needed to create a username a bit more relevant to my content…which is mainly Jurassic Park. I figured Clever Fangirl was the perfect nod to one of my favorite lines and it has stuck. You own and drive a Jurassic Park themed Explorer. How were you able to get one? Can you tell us a little bit about it? It looks very accurate. I purchased the Jurassic Park Explorer off of eBay. It was pretty cool and had the two TVs inside that played the tour of the park. Unfortunately, I was in college and didn’t have the tools and space to work on the vehicle. It needed a lot of repairs. I sold it to a good friend in Vegas who has been able to put a lot of love into it. 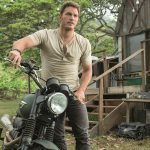 Are you excited about Jurassic World III? Of course! I’m curious how the franchise will move on without Isla Nublar. I am hoping we are introduced to more dinosaurs. I have to admit…some of my favorite Jurassic scenes of all time are simply observing the dinosaurs in their habitat. I hope we get a bit more of that. Do you want the franchise to continue after III, or would you like it to end or take a break for a while? I’m okay with the franchise taking a break after this one. I’d rather it end on a high note than more movies being created simply for money. I think there are a lot of directions the films could go and I will be happy as long as there are some of the familiar monster movie aspects I enjoy. I like a little cheesiness, a good monster on monster fight and of course more teeth! You can keep up with Clever Fangirl on Instagram & Facebook.